Over the last few weeks there has been much media coverage of the impending visit to Mullaghmore, Co Sligo of the Colonel-in-Chief of the Parachute Regiment, Charles Windsor. Endless column inches and hours of airtime have been dedicated to Windsor, to ‘Lord’ Mountbatten, to their relationship with each other and to the IRA operation which killed Mountbatten. The three others that died with Mountbatten, and their surviving families, have also been routinely mentioned in recent media coverage. But there is another, largely forgotten victim of Mullaghmore - another life lost as a result of British interference in Ireland’s affairs - another victim of Britain’s dirty war in Ireland. On June 30, 1992 a young woman’s body was discovered in a forestry in Mullaghmore, not far from the castle where Mountbatten used to holiday. It was quickly established that the body was that of Margaret Perry, a twenty-six year old from Portadown who had been reported missing by her family twelve months previously. Two days later on July 2, 1992 the bodies of three men were discovered by the roadside in South Armagh. All three were IRA volunteers who had been executed because there were working for the British Army. Over the days, months and years that followed the truth about Margaret Perry’s murder and the related execution of the three informers was slowly revealed. And those revelations exposed just how low the British state was willing to sink in its’ ‘dirty war’ in Ireland. Twenty-three years later and it has been established beyond all doubt that Gregory Burns, John Dignam and Aidan Starrs were all British agents working within the IRA. And that they were controlled by their handlers in the FRU, an infamous and highly secretive unit of the British Army. It has also been established beyond all doubt that the three colluded in the murder and burial of the entirely innocent Margaret Perry. Her corpse was also mutilated in an attempt to thwart forensic identification by the authorities at a later date. It is almost certain that they killed Perry because they believed she suspected (or knew) that Burns was a British agent. That knowledge amounted to a death sentence for Perry. Most disturbingly of all it has been established that the FRU knew that Perry’s life was in imminent danger and did nothing. It has even been suggested that the head of the FRU, Gordon Kerr, encouraged the trio to kill Perry instead of extracting them from Ireland (as was often done with informers who had been compromised). It seems he valued the information supplied by his three agents over the life of an innocent young woman. For twelve months the family of Margaret Perry searched for their missing loved one. Whilst her parents implored the RUC to help find their daughter, another wing of the British state knew full well that Margaret was dead and buried in a shallow grave in Mullaghmore. The truth about Margaret Perry’s death and burial only emerged when the IRA discovered that Burns, Dignam and Starrs were British agents. It was the IRA that located her body and informed a priest where it could be found. Had the three informers not been uncovered it is possible that Perry’s body would never have been found. 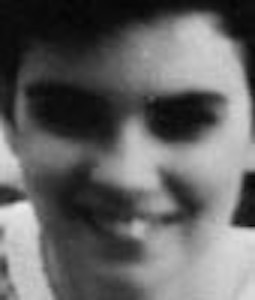 Almost a quarter of a century later and inquiries by journalists, the Stevens Inquiry and the police ombudsman Nuala O’Loan have established only some of the facts about the appalling murder of Margaret Perry and the activities of the FRU and its’ agents. Much of the nefarious work of the FRU remains clouded in secrecy, cover-up and denial. In more recent years it has been widely reported that that at least one of the IRA volunteers that was involved in the execution of Burns, Dignam and Starrs was himself working for the FRU. Another example of Britain’s ‘dirty war’. To this day nobody has been held to account for the role that the British state played in the death of Margaret Perry, for the failure of the FRU to protect an innocent woman prior to her murder and the failure of the FRU to hold her murderers to account after her death. Instead of holding the then commander of the FRU, Gordon Kerr, to account the British Army promoted him to Brigadier and posted him as a military attache to China. It seems the rewards for those who waged the ‘dirty war’, and stayed quiet about it, are high. So over the next few days, as the airwaves fill with talk of some of those who died at Mullaghmore, spare a thought for Margaret Perry and her family.